Qualifying for Sunday's Toyota/Save Mart 350 took a page from European touring series competition by debuting group-based qualifying. After all eight groups completed their five-minute sessions, Jamie McMurray took the top spot from Marcos Ambrose with a speed of 94.986 mph versus Marcos Ambrose's 94.924 mph. 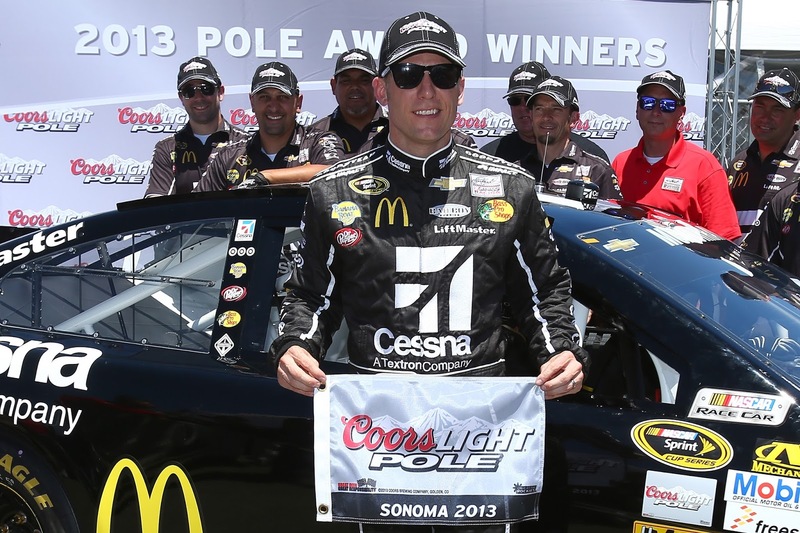 This is McMurray's first pole, fourth top-10 start in 2013, and his second pole at Sonoma Raceway. His previous pole at Sonoma came in 2007. Marcos Ambrose (second) posted his fourth top-10 start of 2013 and his sixth in six races at Sonoma Raceway. Carl Edwards (third) posted his first top-10 start at Sonoma Raceway. It is his seventh in 16 races this season. Danica Patrick (31st) was the fastest qualifying rookie.